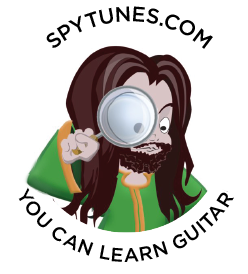 My new favorite Podcast – No Guitar Is Safe! Lately, I’ve been getting well into discovering Podcasts on my iPhone. I love the non-restricted time format and no ads! The absolutely best one I’ve found comes from Guitar Player Magazine’s Jude Gold and is called ‘No Guitar Is Safe’. Jude is a great player and interviewer who have managed to track down a seriously impressive amount of fantastic players. I thought I’d share this information and my favorite episode with you. I’m using the SoundCloud links here as the sound quality is better than on the iPhone app, something to do with formatting, not sure. It’s not easy to pick just one episode, there are so many good ones! For example, the awesome Guthrie Govan, whom I first studied for, then taught alongside at Bimm with. These days Guthrie doesn’t do any teaching in a set college, he’s too busy traveling the world with various bands. Another great player, who my first guitar teacher shared a room at GIT with is Frank Gambale. Frank was one of the first to release an instruction DVD on REH Videos, showcasing his three note per string playing. Or what about Robben Ford, who talks about his Dumble amp and how his hit ‘Talk To Your Daughter’ is often used by sound guys when they tune PA systems. Robben was one of my first heroes, I love the way he blends the blues language with some more modal, diminished and altered ideas. Coincidentally, this is what is discussed in his interview. I can’t avoid mentioning Mike Stern as well! When I was a teenager I used to study his solo’s like it was the gospel. In his interview, he’s joined by his German wife, Leni Stern, who is also a guitar player. But there’s more, Greg Koch, what a player! Find out for yourself by following the links above, so far there are 38 episodes. If I could only pick one for you to listen to today, it would have to be the least known player on the list and coincidently the latest episode, the amazing Owen Barry. It’s not because of his slide playing, his note choices beyond scales (quarter notes) or that he is playing stadium gigs opening up for The Who, playing improvised instrumental Jazz (I know it sounds bonkers but it’s happening).